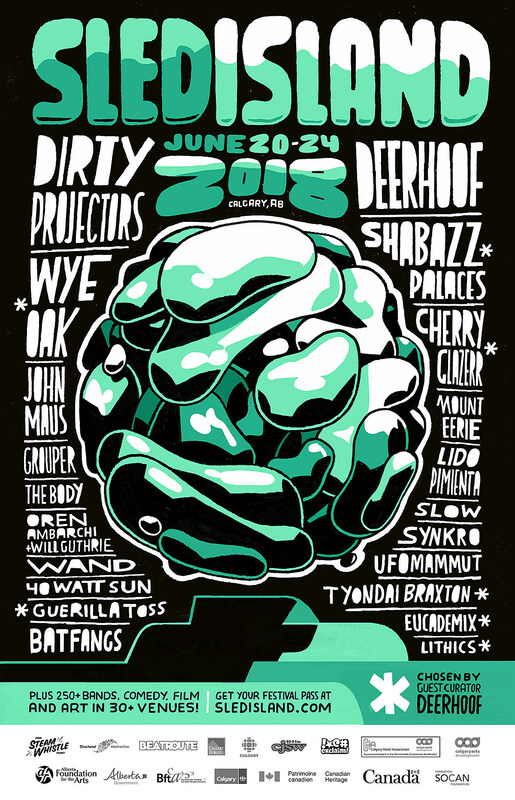 Calgary, AB’s Sled Island happens this year on June 20 – 24 at various clubs all over the city. Deerhoof is this year’s Guest Curator and the initial 2018 lineup includes Dirty Projectors, 40 Watt Sun, Wye Oak, John Maus, Shabazz Palaces, Cherry Glazerr, Mount Eerie, 2017 Polaris Prize winner Lido Pimienta, Wand, Grouper, Tyondai Braxton, Ufomammut, The Body, Bat Fangs and more. Tickets are on sale and all announced 2018 Sled Island performers are listed below.